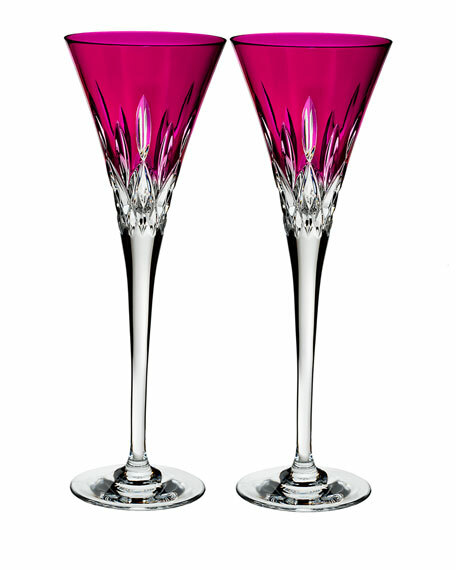 Set of two toasting flutes. Each is 3.5"Dia. x 10"T and holds 6.8 ounces.